In a previous article, I talked about a few things to keep in mind when pressing the shutter button. One thing I mentioned was to press the button halfway first, wait half a second or so, and then press it down the rest of the way. 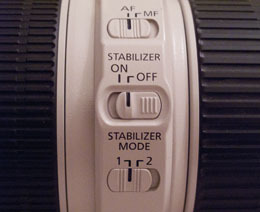 Doing this helps prevent the camera from shaking, which results in sharper photos.